(Monday, March 25, 2019) – Miami-Dade’s GRACE Court (Growth Renewed through Acceptance, Change and Empowerment) is a specialized court created to provide comprehensive services and support to child victims of human trafficking and is the first of its kind in the nation. While a valuable resource, its existence highlights the prevalence of this problem in South Florida. 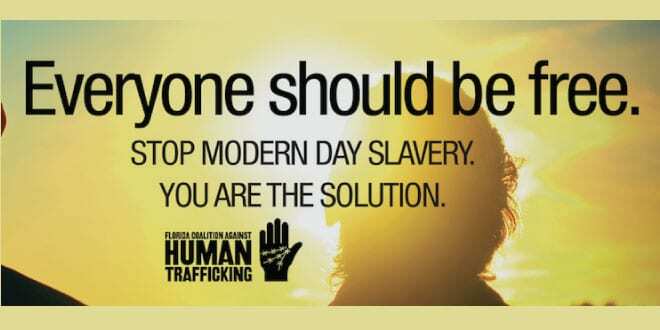 On February 21, 2019, the Sunny Isles Beach City Commission voted unanimously to pass a resolution in support of Senate Bill 540, which requires human trafficking awareness training for establishments of public lodging, hotels and short-term rentals. The training, intended for those employees who interact with guests such as housekeeping and reception, would help the employees identify individuals who may be victims of human trafficking and provide guidance in reporting and responding to suspected human trafficking. Educating the employees of businesses that are likely to come into contact with trafficked victims is an excellent idea that I fully support. It will add another opportunity of protection for the most vulnerable among us. I’d like to thank Vice Mayor Larisa Svechin for bringing Senate Bill 540 to the City Commission’s attention, prompting us to review, discuss, and publicly support it. Regardless of whether the bill ultimately becomes a law, the mere fact that we are discussing new ways to help human trafficking victims is a victory in and of itself. Please contact me with any questions or concerns at jviscarra@sibfl.net or call 305.792.1750.